So the Lakers lost a close one last night. 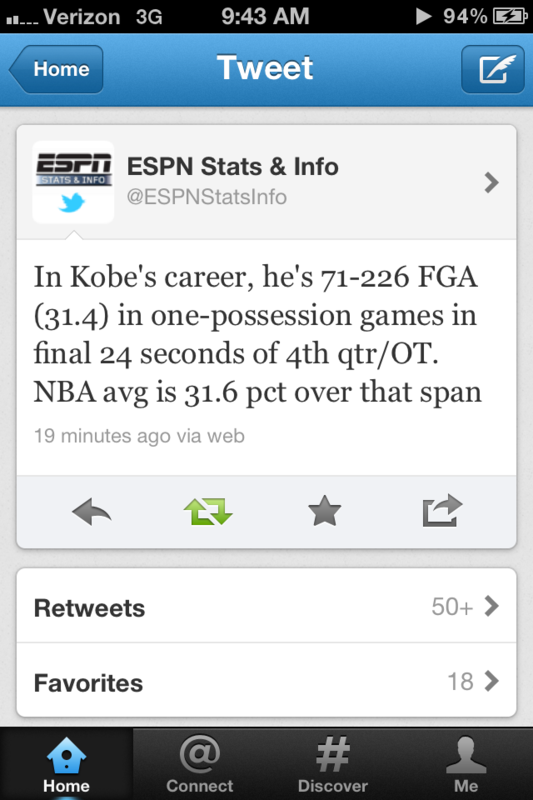 Kobe couldn’t pull it out in the end. Perhaps b/c he’s below avg. in that situation! This entry was posted on Sunday, May 20th, 2012 at 9:10 pm and is filed under Uncategorized. You can follow any responses to this entry through the RSS 2.0 feed. You can leave a response, or trackback from your own site.